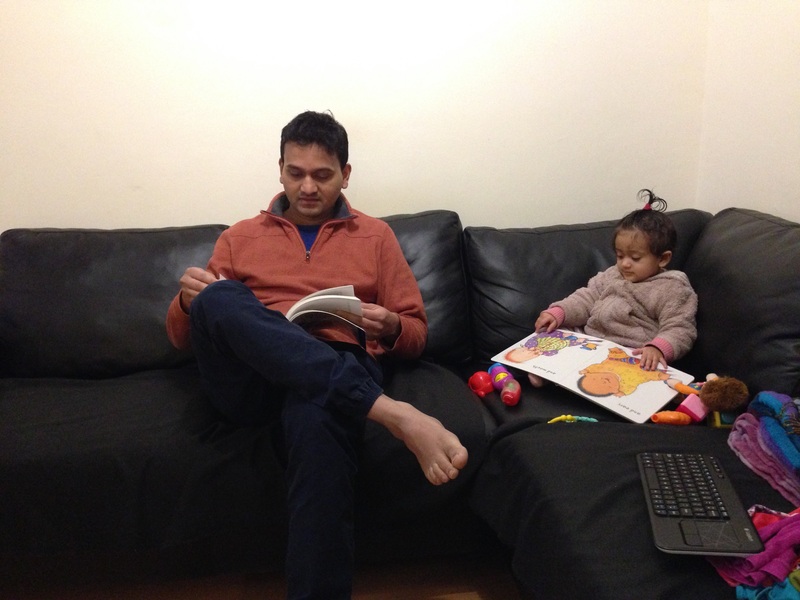 In the past few days, I have noticed that Aadhya is interested in flipping through her children book pages. In the past, she used to eat the book cover and did not have the dexterity to flip the book pages. Now, she has learned to flip book pages using her index finger. 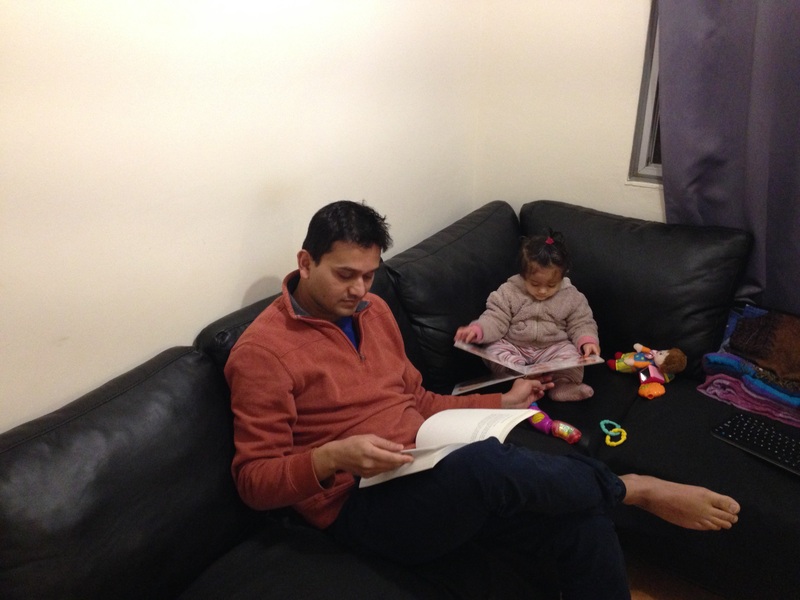 She is quite engrossed when looking at the cartoons in her book pages. She appears to be disconnected from her surroundings when she is looking at the book pages. Nothing breaks her concentration except the sound of our Television, a laptop screen or a mobile phone. For example, when I try to record a video of her reading a book, she gets distracted by the mobile phone and comes after me to take a hold of the phone. When I switch on the TV to watch news, she leaves her book aside and looks at the TV screen.